Whether you compete at an elite level, play recreational sports, or love being a weekend warrior, you can’t imagine sport not being a part of your life. However, pain and dysfunction can hold you back from doing what you love! What if there was a way to control your pain? What if you could learn to manage injury risk factors through improved technique? What if you could come out of this stronger and smarter than before? With pt Health’s Sports Injury Rehab program, YOU CAN! pt Health clinicians believe that you deserve the best treatment available to deal with your sports injury. We know that being injured can change your life and your ability to compete or participate in your chosen sport. We know you want to get back to your normal fitness and competency level as soon as possible! That is why the pt Health clinical team has developed our Sports Injury Rehab program. Our clinical approach involves a comprehensive individual analysis that fully assesses the extent and cause of your injury, your former and desired performance level, and any risk factors that need management. Our goal is to give you the tools to get well and stay well so that you can get back to doing the sport you love …starting now! Some of the patients that we see in our Sports Injury Rehab program are kids. Playing recreational or competitive sports can be a positive part of childhood athletic and social development. Unfortunately, as with any sport, there is always a risk of injury. From summer leagues to gym class, kids are vulnerable. In 2009-2010, Statistics Canada reported that an estimated that 4.27 million Canadians aged 12 or older suffered an injury severe enough to limit their usual activities. In Canada, 35% of injuries occurred during participation in some type of sports or exercise. Two–thirds (66%) of injuries among young people (aged 12 to 19) were related to sports. This was more than twice as high as working-age adults (29%) and about seven times higher than seniors (9%). The main causes of injuries were falls and overexertion. This is noteworthy since falls are the most common cause of injury hospitalizations in Canada. About half (50%) of injuries among adolescents resulted from a fall. Injuries that occurred during sports activities were mainly caused by falls. Sports accounted for three in five falls among adolescents. What Do Kids Typically Injure? The most commonly injured body part among young people (aged 12 to 19) was their feet or ankles (33%). A similar pattern occurred for injured wrists or hands, which accounted for 22% of injuries in adolescents. Although kids heal quickly, the same amount of attention needs to be paid to their sports injuries. With growing bodies, there are other factors to take into account and a need to ensure that muscles, bones, tendons, and ligaments heal fully. In the case of the physical health of kids, physiotherapy is even more important since the therapeutic and rehabilitation process will inform their future activity, mobility, and function. Kids can also benefit from the same teaching around better technique, risk prevention, and how to compete safely. In many instances, rehabilitation products can also be very helpful. Inserting an orthotic into a hockey skate, for example, can help to increase stability on the ice. If you have an adolescent who is into gymnastics or cheerleading, for example, bracing a knee after an injury until recovery is complete and the joint is stable can be extremely beneficial and safeguard against further injury. Even if the physiotherapist simply teaches a child how to rest an injury and control swelling and stiffness with ice and heat, that child will be able to use that knowledge for the rest of their lives. The pt Health Sports Injury Rehab program helps children and adolescents play safe, compete intelligently, and teaches them how stay healthy and active in the future. Muscle strain, sprain, and/or imbalance. The cumulative effects of wear and tear from sport on the body. Sprained or torn ligaments and tendons. Provide effective treatments and therapeutic approaches designed to relieve and ease your ankle pain. Offers preventative strategies to help you deal with lifestyle, work, and other risk factors. Addresses the root cause of ankle pain as well as the symptoms. Prescribes appropriate stretches, strengthening exercises, and movements that you can do at home to encourage continuous improvement and progress. 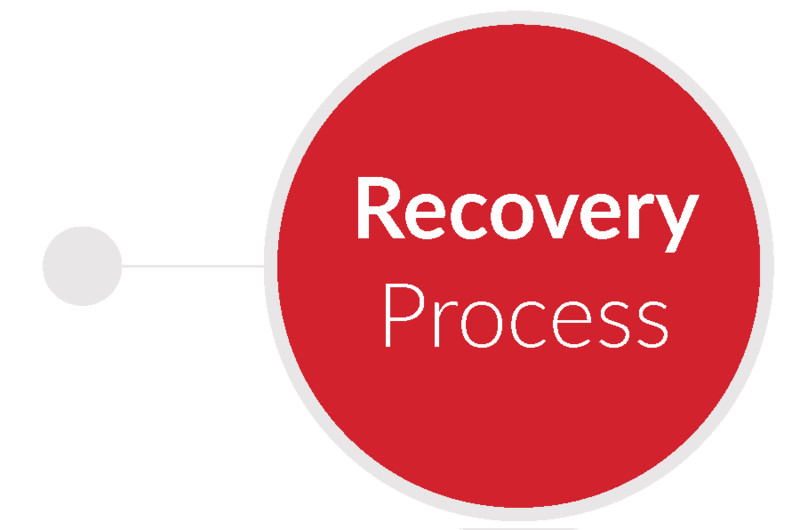 Actively involves you in your own recovery. Provides preventative strategies to deal with risk factors on and off the playing field, track, or arena. pt Health clinicians work with a variety of people with different athletic and sport backgrounds. We work with each patient to improve overall performance and skill, and assist them with successful recovery after a sports related injury. Whether your particular sport is recreational, or if you play in front of 20,000 screaming fans, consider the pt Health Sports Injury Rehab Program if you experience an injury. Baseball doesn’t have a lot of contact between players, but nevertheless, there is repetitive motion when it comes to throwing, hitting and base running. Therefore, players must be conditioned properly and all practices should focus on preventative exercises. Basketball injuries are easy to get. This fast paced game is based around repetitive arm and leg movements and the most common injuries are wrist and ankle sprains. Therefore, it is important for you to know how to correct and avoid suffering from these injuries at all costs. Cheerleading utilizes risky athletic elements which add excitement and entertainment to cheerleading routines, but they also increase the risk of injury. Ligament sprains, muscle strains, fractures, back pain and overuse injuries of the arms are the most common, but treatable at pt Health. Although fairly low impact, injuries can happen, and they usually come in the form of shoulder dislocation, muscle tears, or knee sprains which can not only keep you off your skis, but it will keep you indoors. You don’t have to be a professional cyclist to understand that the least of any cyclists’ worries is a painful fall off the bike. In fact, cycling is a sport that has many repetitive motions and opens any participant up to knee, back, neck, ankle, foot, and elbow injuries. Figure skaters put their bodies through a tremendous beating. Whether it is through knee, hip or ankle injuries, or working through pulled and stiff muscles, figure skaters know one principle in their everyday lives and that is “Practice makes perfect.” This sport is all about repetition and pt Health addresses these issues. Regardless of the level you are at, high school, college, the NFL or in the parking lot while you are tailgating, it is important to understand that you can get hurt, regardless of the padding, equipment and support the sport requires. Therefore, you have to be safe, conditioned and know which exercises are used to prevent injury. As a golfer you already know the correct way to swing and hold a club, but you should also understand the fitness and flexibility methods that will keep you on your game and hitting below par. pt Health addresses both acute injury and offers preventative techniques to keep at the top of your game. Most hockey injuries happen because of high impact hits and happen during the middle of a game as opposed to during practice; a knee injury or a separated shoulder can be season ending and offer a painful rehabilitation. pt Health addresses your injuries and provides you with the best techniques for staying healthy. Whether only sparring or actually facing up to a fight opponent the nature of the sport means that the potential for injury is high. Unfortunately no matter how well prepared you are, an unexpected kick, upper cut or jab from an opponent can still result in an injury. The physiotherapists at pt Health are highly skilled in many types of injuries and are eager to provide treatment for any kickboxing and MMA related injury you may incur. In a game where slang terms for some shots and turns are called ankle-breakers, backbreakers, and murder passes, it might seem to someone who doesn’t know the game that the chances of injuring yourself would be higher than in other sports. Lacrosse is a contact game though so acute injuries from body, stick or ball contact do outweigh the prevalence of common overuse injuries. Rugby requires players to be physically tough to absorb the forces acting on it. In addition the modern game is played at an ever increasing pace and even the front row forwards now need to be quick around the park. This balance between raw power and agility is a delicate one and training in the wrong way can reduce your effectiveness on the pitch or worse, put you at risk of injury. Most running injuries happen in the hips, knees, ankles and feet of runners. There is not only intense repetitive motion in this sport, but it also requires ample stretching and just a tiny bit of coordination. In order for you to keep competing, it is necessary that you not only make sure you have a great pair of shoes at your disposal, but that you also take the time to pay attention to your muscles and your joints when injury occurs. pt Health can help treat and educate you on skiing injuries related to your wrists, ankles, knees, back, and elbows and the exercises that can prevent them from occurring again in the future. The most common snowboarding injury occurs to the upper body as opposed to the lower body. The wrist is a particular target when trying to catch yourself or overcorrecting prior to a fall. Pt Health can offer assistance with injuries related to snowboarding. The majority of Soccer injuries are directly related to the muscles and joints of the knees, ankles and hips; and because of the repetitive motion associated with this sport, a player might not realize just how bad they are hurt until it is too late. pt Health treats acute soccer related strategies and offers prevention for long term soccer players. TA weightlifting injury can happen to almost any area of the body or muscle group. The majority of injuries can happen in the form of sprains, strains, or tendon avulsions, and are largely associated with lifting too much weight too quickly or not warming up and stretching properly. Call us today to improve your performance. Let pt Health help you get better every day you play.